It took me awhile to figure out what this actually was, I am am still quite confused. 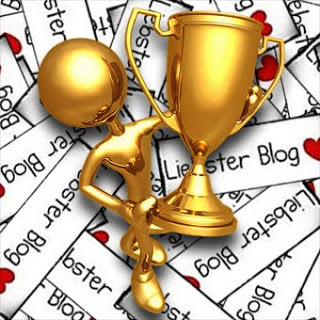 When I google Liebster Award, I get these blogs which absolutely have nothing to do with wargaming. The only unifying detail is that it is awarded to blogs which have less then 200 followers. The interesting thing about this for me is that I am not a follower on any blogs as I have used my blogroll to keep up. I had no idea that this was of any importance. I do notice now though that at the bottom of my blog there is a follower widget and it says 155, I really had no idea. I suppose I will have to go through my list now and add myself as a follower. I also just noticed that the image that you are supposed to place on your blog, actually looks like a lobster from a distance. Is this what it is about? You learn things every day! Anyway enough of that, thank you to Nicolas of Nowhere to Lead Soldiers and Peter of Blunders on the Danube for nominating me. They both have excellent blogs and what I like best is their clever blog titles. A little better than Wargaming in 28 mm and sometimes smaller......duh! John's excellent blog, largely but not exclusively Napoleonic in focus. Although John has posted a great many of pics his units to his blog, I have far more myself. Only problem is, his are much better painted! :-) John's posts are always well written and interesting. That aside, he's a fellow physician, and there aren't too many of us Doctor-Wargamers out there. Well done, John! Kind words from you both and the mention is much appreciated. So what do I have to do, well from Nicolas's blog it seems this. - "Copy and paste" the award on your blog, and talk about it a bit. - Select for the award your five favourite blogs with less than 200 followers, leaving a comment on one of their post to notify them that they have won the award. You need also to list them in your own blog. - Enjoy the moment, knowing that you have just made someone's day. - Of course, there is no obligation to pass the award, but it is a good deed really. Well that is pretty simple. Since the two excellent bloggers above have already been nominated as well as others on my list to the right, I will have to give it some thought, as over the year my gaming interest has definitely broadened. After a careful perusal through the blogosphere (can not believe I actually typed this word), I have come up with the below list, all great blogs and not in order of preference. Hailing from Berlin, I believe, is Großberren 1813. Kawe has a great blog here, he is a Calpe aficionado with great painting skills. I always look forward to seeing his units, try to model mine somewhat unsuccessfully on his. He is also developing his own line of miniatures through Westphalia Miniatures, and they are unusual and just great! He has 144 followers. Next up is Burkhard, also from Germany. His painting is absolutely great, really up there in my estimation. His recent submissions to La Bricole were just amazing. He has great battle reports and has a broad interest. Check him out at DHCWargames. He has around 170 followers. Next up is Martin aka Lord Hill from London. Well all I can say is that I think he is mad........in a good way that is. See his madness at The British Army at Waterloo. He has 77 followers. Next up is Grognard (His name appears to be well hidden) from Rouen in France. He has some great LotR and Napoleonics figures and is documenting this fantastic LotR campaign Rohen in Flames on his blog spot L'épopée. Well worth following with his other 37 followers. Finally we have Andrew from Sheffield, UK (my family originally hails from very close by and I suspect he feels the Daneblood coursing through his veins like I do). He has a great site Lokis Great Hall. He is a first rate Viking painter and does a lot of nice terrain work. He has 41 followers. Well that was a bit of work, but congratulations to all. "A Lobster Award??? Why would he entitle me with a lobster??? It does not look like a lobster anyway... Well, from a certain distance..."
Ah, the more I think about it the more I cry out of laugh. Thank you so much, this the best reward for having nominate you! And thank you very much vor nominating my Blog! Ah! Two German speaking individuals, I am happy that I made your days! And like I said you lear something everyday. Congratulations John and good picks all around. Nice one John very well deserved! You beat me to it! I was in the process of nominating you! High fives all round then! Congratulations to you John. I like your painting style and I always find your posts enjoyable to read, relevant and interesting. I wish there will be many others. Congrats John, you definitely have a very fine blog, boring title and all. ;-) Worth at least two lobsters if you ask me!